The Chief Instructors of Eastwind Budo Life Centre are Mike Sywyk and Laura Sywyk. Kyoshi Mike Sywyk and Renshi Laura Sywyk competed successfully in the 1995, 1997 and 2001 Okinawa Karate and Kobudo World Championships as part of the Canadian Karate Team, with Sensei Mike placing 4th and Sensei Laura winning a silver medal in their last world championships. As Chief Instructors,Kyoshi Mike and Renshi Laura continue their own training on a regular basis with their teachers here in Canada, and the USA. As well, both Chief Instructors make regular trips to Okinawa, the birthplace of Goju Ryu Karate and Kobudo (weaponry), some of the styles at EWBLC. Their most recent training and cultural expedition to Okinawa was in May 2017 where the training was in both Karate and Kobudo for 6-8 hours a day for 2 weeks straight. The way is in the training!!! Sensei Mike Sywyk is a 7th degree black belt with over 36 years experience in the martial arts, accredited with the title of Renshi by the Japanese Government (2010) while Laura Lowry-Sywyk is a 6th degree black belt with over 34 years experience to her credit and accredited with the title of Renshi by the Japanese Government (2011). Renshi Laura is one of the highest ranking women instructors in Canada. 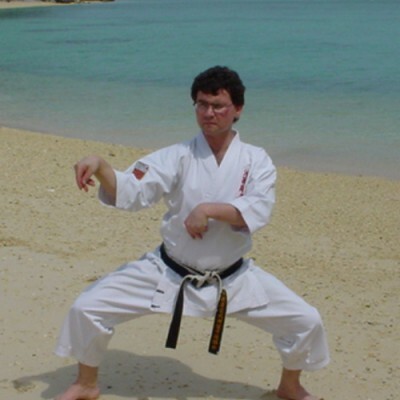 Eastwind Martial Arts is also a Shibu dojo (branch dojo) of the Okinawa Kobudo Doshi Rensei Kai – OKDR (沖縄古武道同志錬成会), a traditional kobudo style from Okinawa. The OKDR was founded by Gakiya Yoshiaki (我喜屋良章). Sensei Mike has been training Okinawa Kobudo over 15 years and is a 5th dan and Sensei Laura is 3rd dan. They are Canadian Representatives for OKDR (Shibu Dojo – 支部道場), under Kyoshi Neil Stolsmark, 8th dan and current world president of the OKDR. It is not only the above credentials that make Sensei Mike and Sensei Laura proud, but it is the excellent, professional and extremely talented group of instructors they have developed over the past thirteen years. At EWBLC you will find some of the most talented and friendly people in the martial arts and with 2 world champions they have the personal friendly touch and the technical expertise as well. Every instructor has their own talents and that is what the Martial Arts is about, Maximize your strengths. Come in and take a free class with the professional staff at EWBLC.